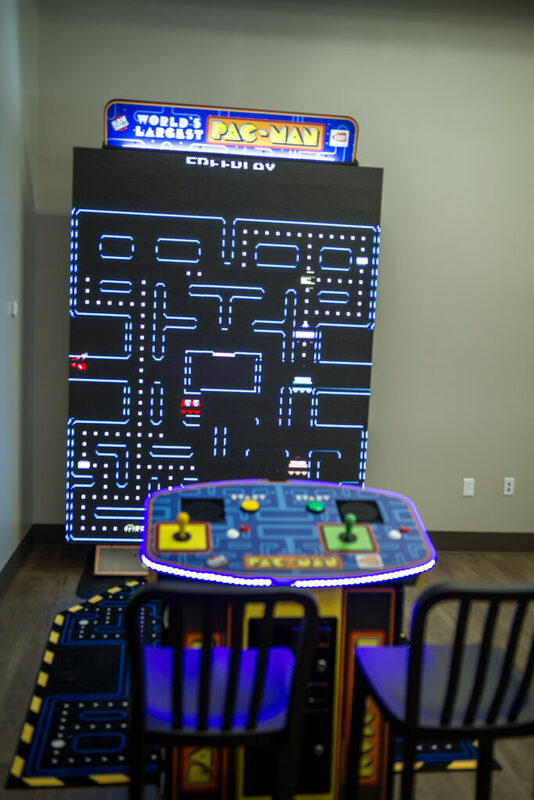 Adult Gaming Area – Silverlake "The Family Place"
Our Adult Gaming Area offers several different games and features put together specifically for our adult members to have fun while their kids enjoy the other amenities! 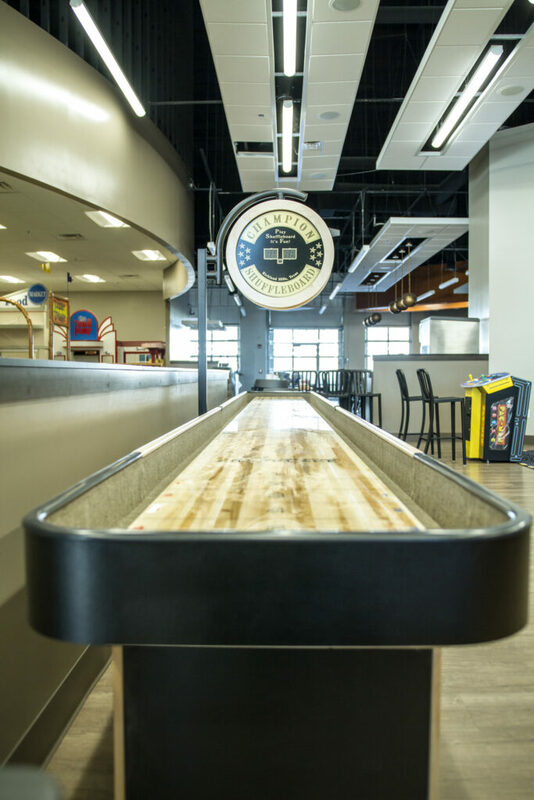 This space offers the World's Largest PacMan game, a new Shuffleboard table, Golden Tee, and a Golf Simulator! The HD Golf™ simulator delivers visually stunning, ON-DEMAND golf, with a level of realism incomparable to any competitive system. Let the screen wrap around and pull you into a golfing environment so vivid, real and engaging, you’ll want to apply sunscreen. Come experience the Adult Gaming Area for yourself! 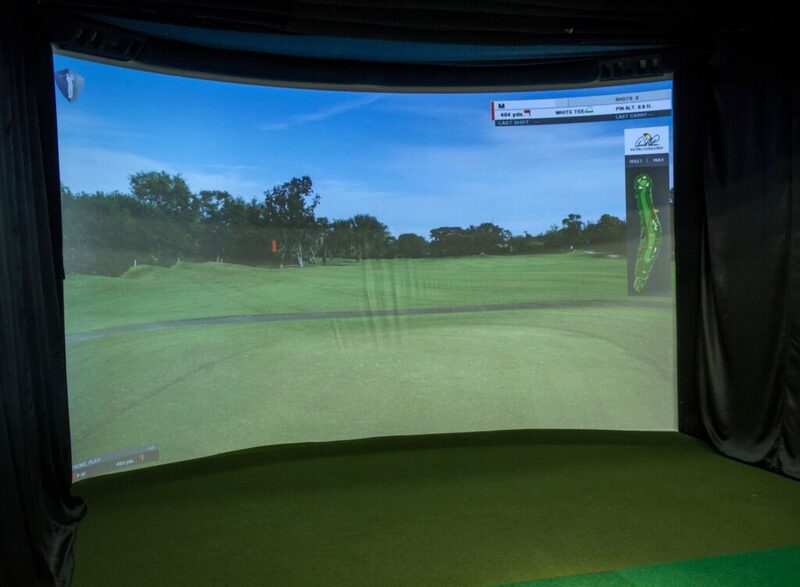 Book your golf simulator time at our Control Desk at $20/hour per group!